We are offering a Reconciliation Service for all high school students on Sunday, March 17 at 4:00pm before the Sunday 5pm Youth Mass in the Chapel at St. John’s. There will be a short reflection and preparation time, followed by the opportunity to receive the sacrament of confession. Those receiving Confirmation this spring are especially encouraged to attend! 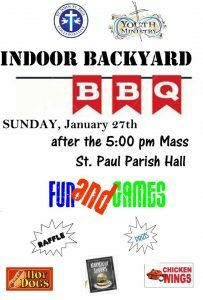 Sunday, January 27: Youth Ministry Winter Backyard BBQ! Posted on January 26, 2019 | Comments Off on Sunday, January 27: Youth Ministry Winter Backyard BBQ! Calling all high school students! Need something to do this football-free Sunday evening? Come to the St. Paul Parish Hall for some FREE food and fun at our St. John-St. Paul Youth Ministry Winter Indoor BBQ! It starts around 6:00pm after the Sunday 5pm Youth Mass. We hope to see you there! For more information on all our Youth Ministry Programs, please visit Our Collaborative Youth Ministry Program page. Comments Off on Sunday, January 27: Youth Ministry Winter Backyard BBQ! As young Christians… you are not only a part of the future of the Church; you are also a necessary and beloved part of the Church’s present! 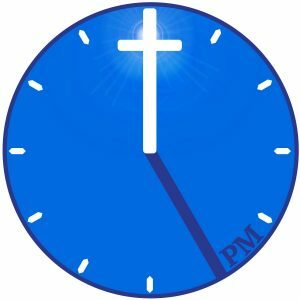 You are the Church’s present! Pope Francis reminds young Christians – and all of us – that young people are not just a part of the Church’s future, but an important and much-needed part of the Church’s present. 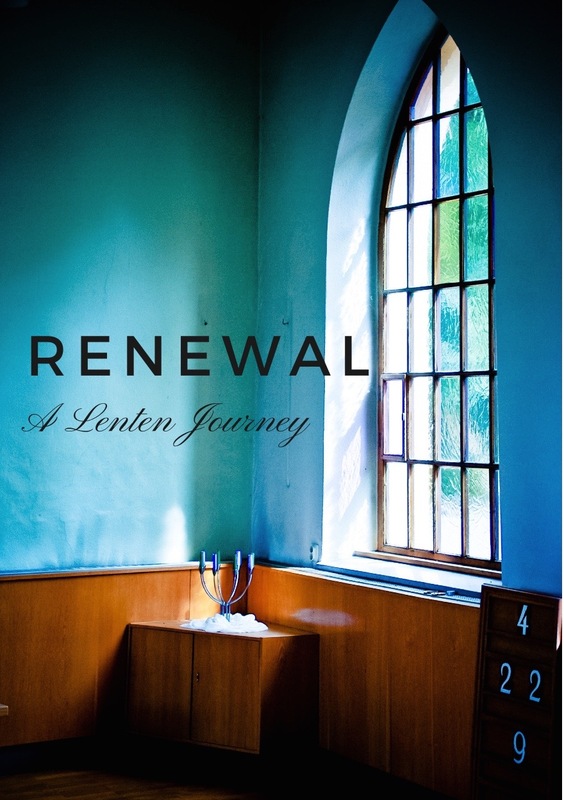 Here at the St. John-St. Paul Collaborative, we are conscious of this reminder as we work together with our young people to renew and strengthen their connection to God, the Church, their parish and wider community, and to each other. To this end, we have launched a Collaborative Sunday 5pm Mass that will be a more deliberately youth-centered liturgy, with our high-school-aged young people central to and actively involved in all aspects of the Mass. From the music, to the homilies, to the Spirit-filled sense of vibrancy and joy, we are prayerfully approaching a liturgy that will touch the hearts and minds of our young people and all who come to celebrate the Mass and grow in faith together. This new Sunday 5pm Mass will be a truly collaborative liturgy, rotating from week to week between St. John Church and St. Paul Church. On the 1st, 3rd and 5th Sundays of the month, the Sunday 5:00pm Mass will be at St. John, and on the 2nd and 4th Sundays of the month, the Mass will be at St. Paul. All are encouraged to experience and support this new initiative with their prayers and their presence. Remember, you can always attend the Masses within the collaborative that best meet your needs and schedule, and still support your home parish. Simply place your envelope (or check made out to your home parish) in the collection at Mass and it will be sent to your parish. Envelopes for both parishes will also be available at the back of the churches so you can direct cash donations as well. Now would be a great time to consider Online Giving. Online giving makes donating to your home parish simple and easy, regardless of where you are or the time of year, and this in turn provides your parish with more consistent and stable contributions. 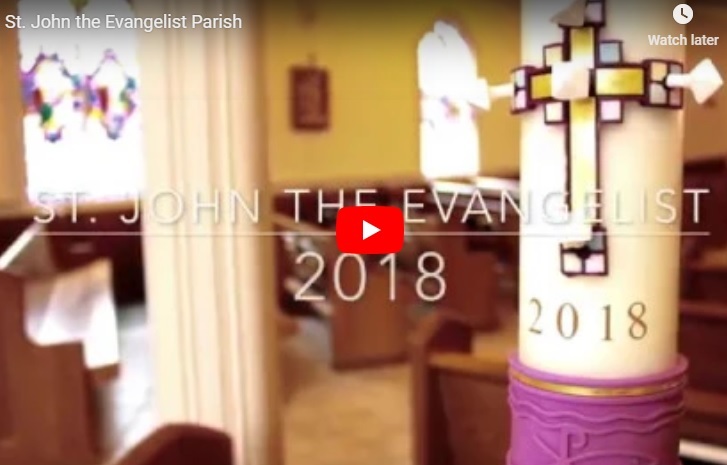 Please visit your home parish’s website (St. John or St. Paul) to sign up or for more information. To this end, beginning on Sunday, September 9, we are launching a Collaborative Sunday 5pm Mass that will be a more deliberately youth-centered liturgy, with our high-school-aged young people central to and actively involved in all aspects of the Mass. From the music, to the homilies, to the Spirit-filled sense of vibrancy and joy, we are prayerfully approaching a liturgy that will touch the hearts and minds of our young people and all who come to celebrate the Mass and grow in faith together.